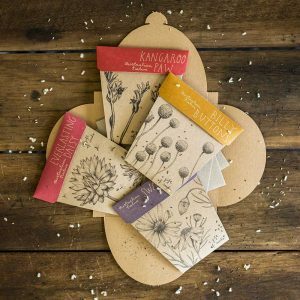 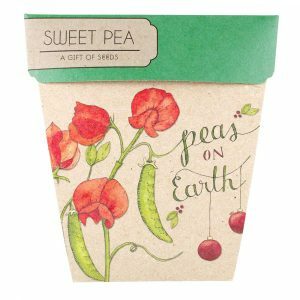 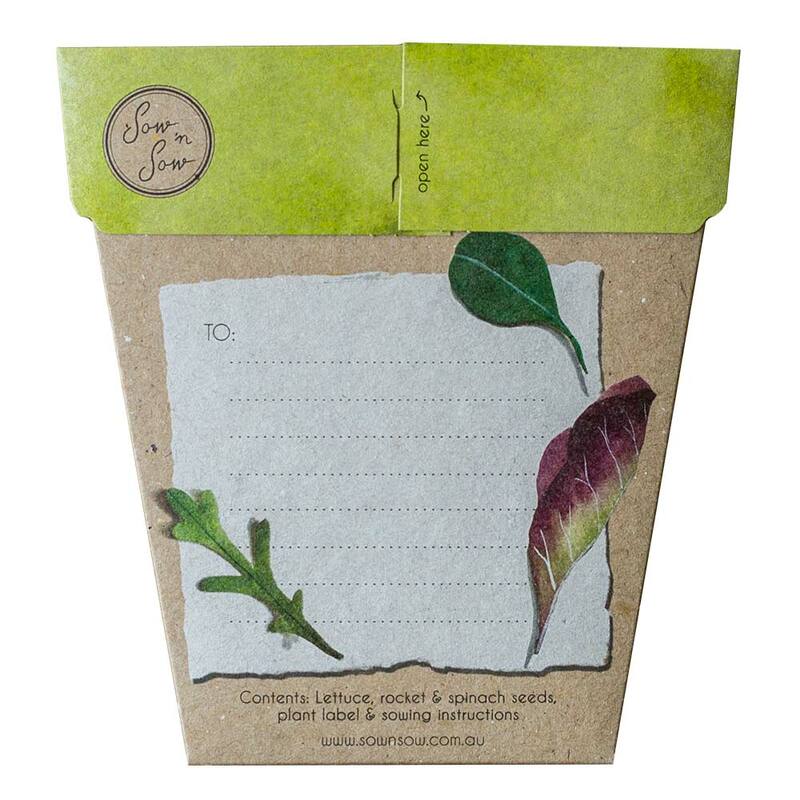 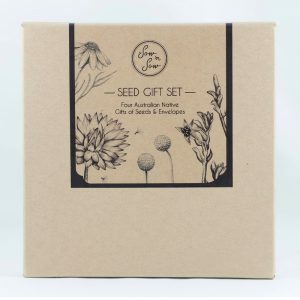 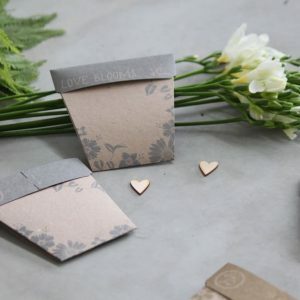 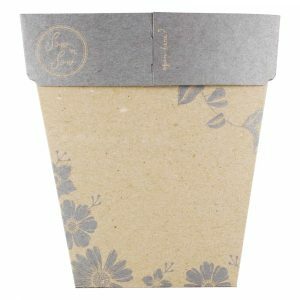 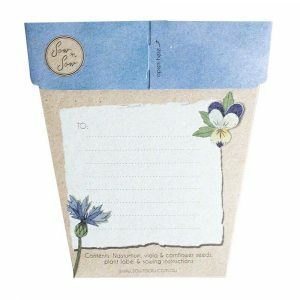 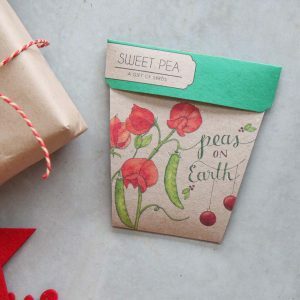 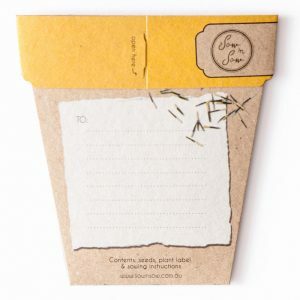 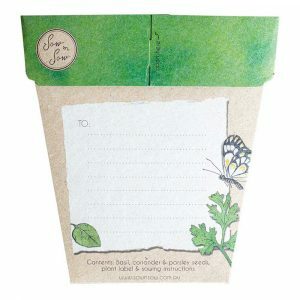 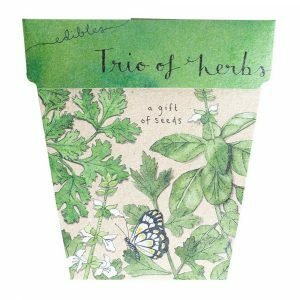 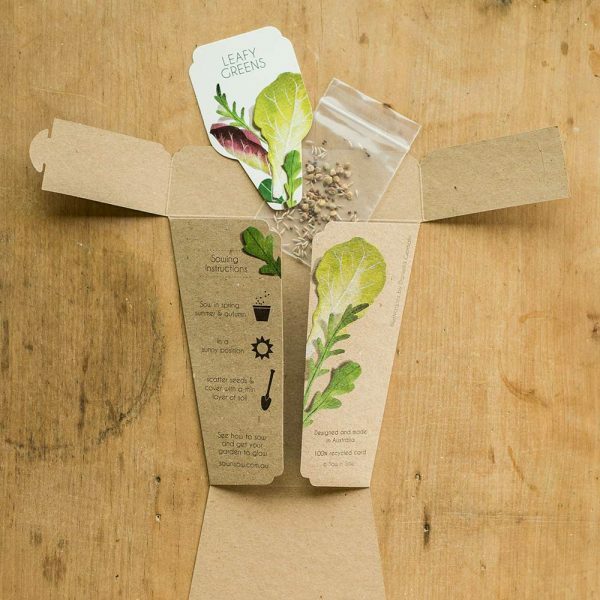 Introducing Leafy Greens to Sow ‘n Sow’s new ‘Edibles’ Gift of Seeds range. 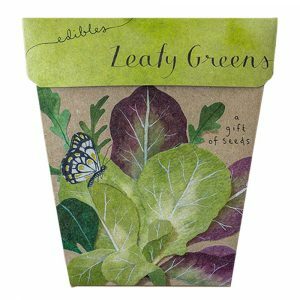 This pack includes a mix of lettuce, spinach and rocket seeds to make the handiest, easiest greenery for every meal. There is nothing quite like tucking into your own home grown produce after nurturing and watching it grow. 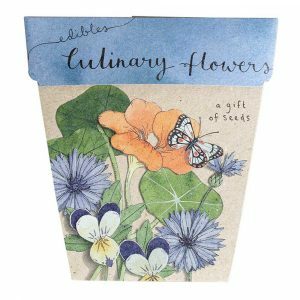 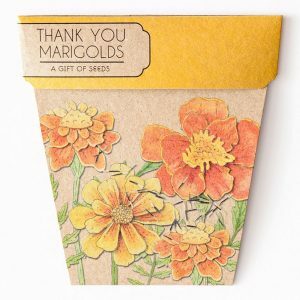 The gift is not just the beautiful card but the joy of growing and of course, the delicious rewards at the end. 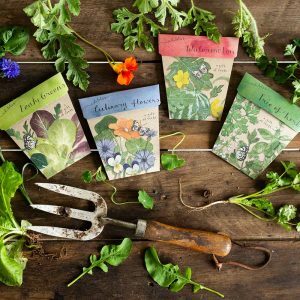 Best sown from spring to autumn, simply scatter seeds in a sunny position and cover with a thin layer of soil. 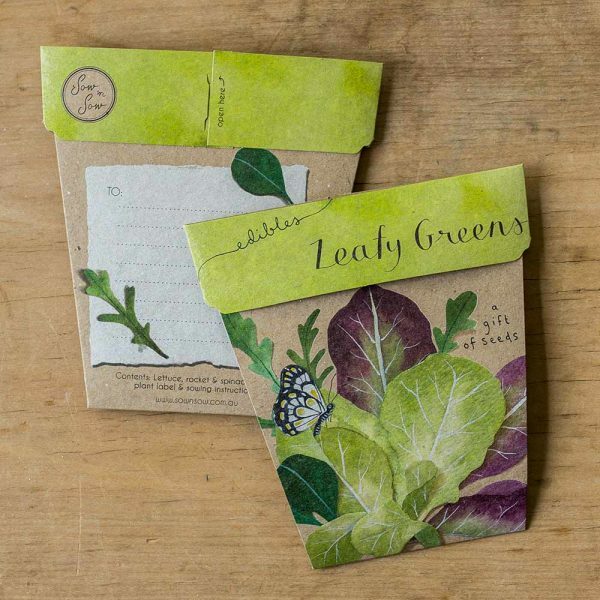 Varieties: Lettuce ‘lactuca sativa’, Rocket ‘Eruca sativa’, Spinach ‘Spinacia oleracea’.